You can trust Green Star to help protect your investment. It’s crucial to properly maintain and service your solar panels to ensure they continue to work at maximum efficiency. Because they have very few moving parts, solar panels are very easy to maintain and require little up-keep. However, it is necessary to inspect your panels several times a year to check for and remove any debris and dirt that might have collected. Cleaning your panels is easy – simply hose them down with a garden hose (make sure you don’t use cold water, as this could cause your panels to crack) before or after the hottest part of the day. Cleaning is so important to having effective panels, as any built-up dirt and debris can affect your panels’ ability to absorb sunlight. Always make sure to follow basic safety procedures when cleaning your panels – if they’re too hard to reach without a ladder, leave it to the professionals to complete the maintenance work for you and conduct a service. 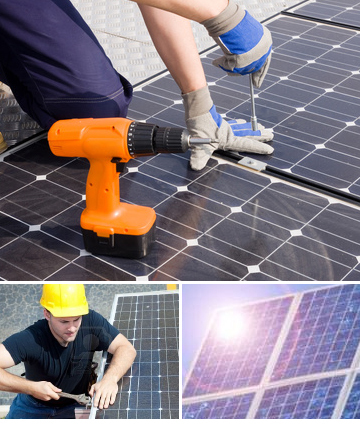 Green Star Solar provide a comprehensive maintenance and repairs service for existing systems throughout Newcastle, the Central Coast and Hunter Valley. With Green Star Solar, you can be assured your solar panel investment is well maintained. Not all solar panel installers are the same. However, Green Star are fully accredited with the Clean Energy Council of Australia, so you can be sure that your system will stand the test of time. While they generally require little repairs work, it’s important you arrange a regular maintenance check with green Star to ensure they continue to operate at maximum efficiency. Call us today on 1300 399 181 or email Gavin at info@greenstarsolar.com.au and we’ll provide you with a no-obligation quote. We can come to your home or business in Newcastle, throughout the Central Coast and Hunter Valley. © 2012 Green Star Solar Pty.